“A Lesson In How Teachers Became ‘Resented and Idealized'” by Dana Goldstein on NPR discusses the controversial role of teachers and their close connections to the development of social movements over the last 200 years. She also highlights the importance and value of keeping innovative educators in the field – we agree! 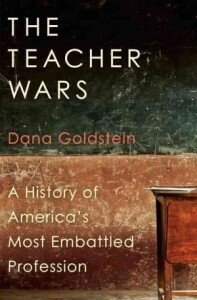 Her book, “The Teacher Wars: A History of America’s Most Embattled Profession,” was just released on Tuesday.